For the more down to earth older John Deere beauty, I loved the Serves vase from the 1878 Paris Exposition. Collectors will be delighted by the beauty of the vase and the new promotional section covering a bit of John Deere marketing. 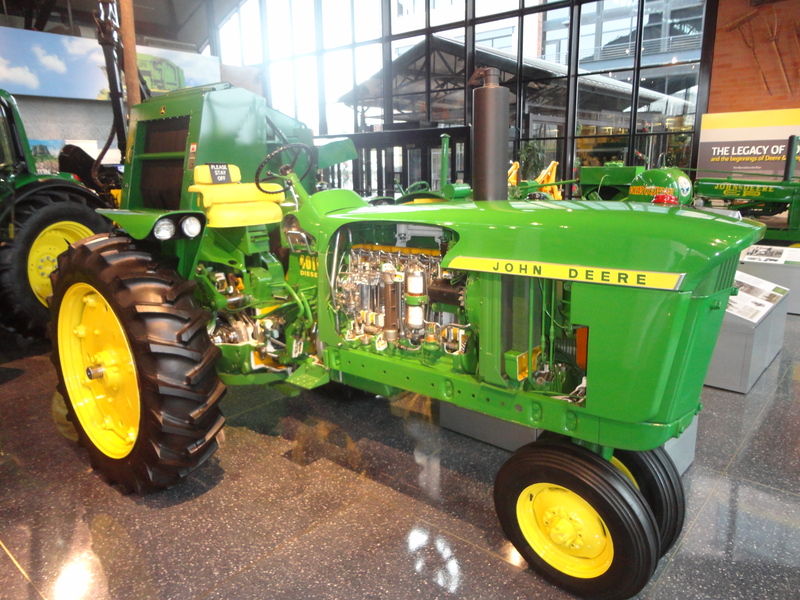 John Deere technology is also on hand with a 4020 tractor that shows the inner workings. Anyone that loves John Deere green will want to plan a stop to the Pavilion as part of their New Year’s travel agenda!